His work appears in collections—Cambridge Companion to Schoenberg, Schoenberg and Words, Schoenberg: Interpretationen seiner Werke—and journals—Journal of the Arnold Schoenberg Center, Journal of the American Musicological Society, Opera Quarterly, Ostinato rigore. His collaborative research has been published in Cognitive Neuropsychology (DOI: 10.1080/02643294.2011.646972) and the Journal of the American Academy of Audiology (DOI: 10.3766/jaaa.24.1.6). Cahn has received support from the Tangeman Sacred Music Center, the Dean’s Travel Fund, the National Institutes of Health — Lab for Integrative and Medical Biophysics, the National Endowment for the Humanities (Summer Stipend) and University Research Council, Faculty Research Support Grant. He has presented papers at international conferences including Jewishness and the Arts (Rome, 2015), Schoenberg at 140 (Canterbury, UK, 2014), Symposia of the Arnold Schoenberg Center (Vienna, 2001, 2002) and the Third International Conference on Jewish Music (SOAS, London 2000). In the U.S., he has presented papers at the Getty Center, the Library of Congress and the National Institutes of Health. He has also presented research at the annual meetings of the American Musicological Society, Society for Music Theory, Music Theory Midwest and International Conference on Music Perception and Cognition (ICMPC8). MA and PhD, SUNY Stony Brook. Cahn is currently working on various articles: one concerns hermeneutics and the choral music of Salomon Jadassohn, another is about imaging musical performances as similarity matrices and a third explores aesthetic and ethical considerations involved with architecture for the presentation of music. Steven J. Cahn (2016). Arnold Schönberg: à l’avant-garde de la musique allemande, aux marges de la communauté juive, Museé d’art et d’histoire du Judaïsme. Steven J. Cahn (2012). Not a Love Story: On Contending with a Historiographic Stumbling Block, Journal of the American Musicological Society 65/2: 570-576. Steven J. Cahn (2011). Impaired Perception of Harmonic Complexity in Congenital Amusia: A Case Study, Cognitive Neuropsychology 28/5: 305-321, in collaboration with C. L. Reed, et al. Steven J. Cahn (2010). “Schoenberg, the Viennese-Jewish Experience and its Aftermath,” in The Cambridge Companion to Schoenberg (Cambridge, 2010), 191-206. Steven J. Cahn (2009). Review of Michael Cherlin, Schoenberg’s Musical Imagination (Cambridge, 2007) in Opera Quarterly 25 (2009): 133-144. Steven J. Cahn (2002). “Kol Nidre” in Arnold Schoenberg: Interpretationen seiner Werke (Vienna: Laaber Verlag, 2002), 2:49-66. Steven J. Cahn (2000). “The Artist as Modern Prophet: A Study of Historical Consciousness and Its Expression in Schoenberg’s Vorgefühl, Op. 22, No. 4,” in Schoenberg and Words (New York: Garland, 2000), 243-71. Steven J. Cahn (2016). Review Schoenberg and Redemption in Music and Letters (forthcoming). 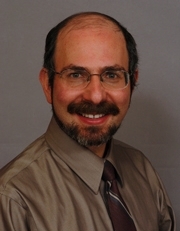 Steven J. Cahn (2013). Review Jewry in Music: Entry to the Profession from Enlightenment to Richard Wagner in Shofar: An Interdisciplinary Journal of Jewish Studies 32/1. Steven J. Cahn (2012). Review: Is There Jewish Content to Haydn’s Characters? H-Judaic (October 2012). Steven J. Cahn (04-2016). Imaging the Performance: On the Visual Representation of Music VanderCook School of Music, (Chicago). Steven J. Cahn (10-2015). Imaging the Performance: Schoenberg&apos;s Compositions Intl. Conference, Schoenberg at 140: Legacy and Reminiscence, Canterbury Christ Church University, (Canterbury, UK). Steven J. Cahn (02-2013). Imaging the Performance Music Dept. Colloquium Series, Stony Brook University (New York). Steven J. Cahn (07-2003). Imaging the Perfrmance: Integrating Music Performance and Musical Structure Laboratory of Integrative and Medical Health, National Institutes of Health, (Bethesda, MD). Steven J. Cahn (10-1998). The Artist as Modern Prophet Robert P. and Therese Goldman Memorial Lecture, Hebrew Union College, (Cincinnati, OH). Steven J. Cahn (11-2007). Imaging the Performance: Analyzing Music With a Similarity Matrix Society for Music Theory Annual Conference, Los Angeles, CA. Steven J. Cahn (08-2004). Imaging the Performance Intl. Conference on Music Perception and Cognition, Northwestern University, Evanston, IL. Steven J. Cahn (08-2004). On Music Specific Deficits: A Case Study of Congenital Amusia Intl. Conference on Music Perception and Cognition, Northwestern University, Evanston, IL. (10-2015). Harmonic Practice in Salomon Jadassohn&apos;s Jewish Choral Music. Rome, Italy. (07-2013). From the Birnbaum Collection: Mid-Nineteenth Century Choral Music of Salomon Jadassohn. Jerusalem, Israel. (11-2010). Not a Love Story: On Contending with a Historiographic Stumbling Block. Indianapolis, IN. (10-2009). On Schoenberg and Tragedy. Cincinnati, OH. (11-2004). Arnold Schoenberg: Letters to American Jewry. Library of Congress (Washington, DC). (08-2003). Mozart, Kant, Schoenberg: Clinging to the Enlightenment by Beethoven&apos;s Hair. Intl. Society for 18th-Century Studies. The Getty Center (Los Angeles, CA) . (06-2000). Why Then? Why There? The Emancipation of German Jewry and Its Ideological Imprint on Music Theory. University of London, School of Oriental and African Studies (SOAS), (London). (05-1999). Why Then? Why There? The Emancipation of German Jewry and Its Ideological Imprint on Music Theory. Butler University (Indianapolis, IN). (11-1996). Schoenberg&apos;s Historicism in Historical Context. (Baltimore, MD). Tangeman Sacred Music Center Fund, University of Cincinnati, 2005. Tangeman Sacred Music Center Fund, University of Cincinnati, 2007. University Research Council Faculty Research Support Grant, University of Cincinnati, 2003 to 2004. Friends of CCM Faculty Projects Pool Award, Friends of CCM, 1998 to 1999. Friends of CCM Faculty Projects Pool Award, Friends of CCM, 2000 to 2001. Friends of CCM Faculty Projects Pool Award, Friends of CCM, 2001 to 2002. NIH, Lab of Integrative and Medical Biophysics, 2002. NEH Summer Stipend, Summer Seminar,, National Endowment for the Humanities, 2000. Boston University. SUNY Graduate Council Dissertation Fellowship, State University of New York, 1989 to 1990. Tangeman Sacred Music Center Fund, University of Cincinnati, 2013. Tangeman Sacred Music Center Fund, University of Cincinnati, 2016. 2011 to 2013 ,Editorial Board, Music Theory Spectrum,, The Society for Music Theory,. A leading journal in the field and an official publication of the Society for Music Theory, Music Theory Spectrum features articles on a wide range of topics in music theory and analysis, including aesthetics, critical theory and hermeneutics, history of theory, post-tonal theory, linear analysis, rhythm, music cognition, and the analysis of popular musics. The journal welcomes interdisciplinary articles revealing intersections with topics in other fields such as ethnomusicology, mathematics, musicology, philosophy, psychology, and performance.